Make Whitney’s Inn your Story Land lodging headquarters in Jackson NH! We’re only 4 miles from Story Land in Glen NH and we can provide the passes so you can avoid the long lines getting into the park. With cottages, two-room suites, and over half of our guestrooms accomodating 4-6 guests, we are the perfect setting for families. We also have an outdoor heated pool and stocked trout pond for the kids! Package includes two nights lodging, 4 tickets to Storyland, and a $75 dinner voucher to the Shovel Handle Pub for 1 night. ***Hot Tip*** If you get your Story Land tickets after 3pm, you can get your next day for free. Stop by the the desk at Story Land when you leave to get your voucher for the next day! It’s like getting 2 for 1 and your kids will love you for it! Your children have read the book and have seen the movie but have they actually taken the Polar Express train to the North Pole? Well now they can and have memories that will last a lifetime! This is our most popular package and always sells out so please don’t wait to book. The package includes two nights lodging at Whitney’s Inn in Jackson NH (only 10 mintues from North Conway), 4 tickets to the Polar Express event, and dinner for your family for one night in the Shovel Handle Pub. When you return from the train ride, there will be milk and cookies in your room and a note and a gift for the kids from Santa himself! With Black Mountain Ski Resort right next door to our property, enjoy a scenic horseback ride up Black’s trails to the top of the mountain. Experience gorgeous views of the surrounding area and of Mount Washington. Package includes two nights lodging in a Queen room at Whitney’s Inn in Jackson NH, arrival refreshments, and a $50 dinner voucher to the Shovel Handle Pub (bring your feedbag). Saddle up little doggies…this package is for the cowboy in all of us! We are always asked by guests, “how can we see a moose?”. The answer: buy this package! 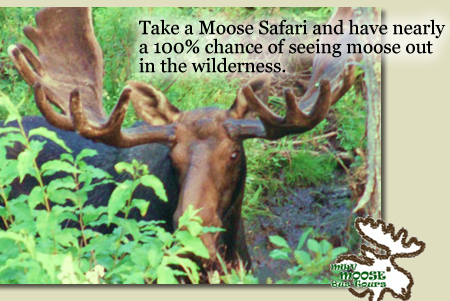 Take a Moose Safari and have nearly a 100% chance of seeing moose out in the wilderness. Chances are you’ll see several! Moose tours go out in the early morning or in the early evening. Package includes two nights lodging in a Queen room at Whitney’s Inn and the Inn at Jackson in Jackson NH, a moose tour for two, the popular book “Uses for Mooses”, and a $50 voucher to the Shovel Handle Pub. Jackson Ski Touring is annually voted the best cross country skiing in the East by Ski Magazine. With the Betty Whitney trail just across the street from Whitney’s Inn in Jackson NH, you can get to all of Jackson’s trails from our property. Package includes one-night lodging in a Queen room, two trail passes, a full country breakfast, and afternoon refreshments. Mid-week packages start as low as $149 per night. Weekend packages start at $169 per night.